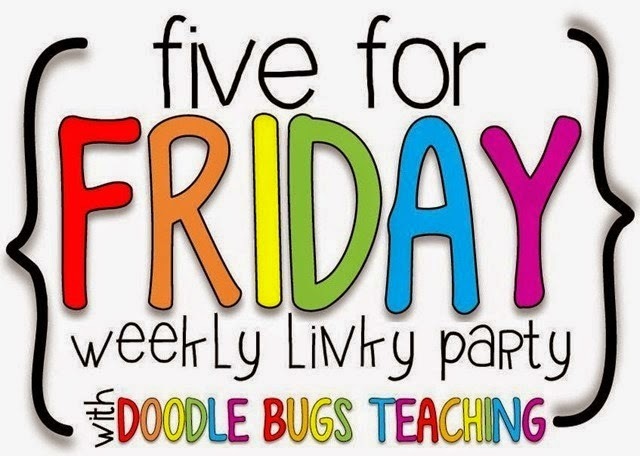 I am finally linking up with Kacey at Doodle Bugs Teaching for Five for Friday again! 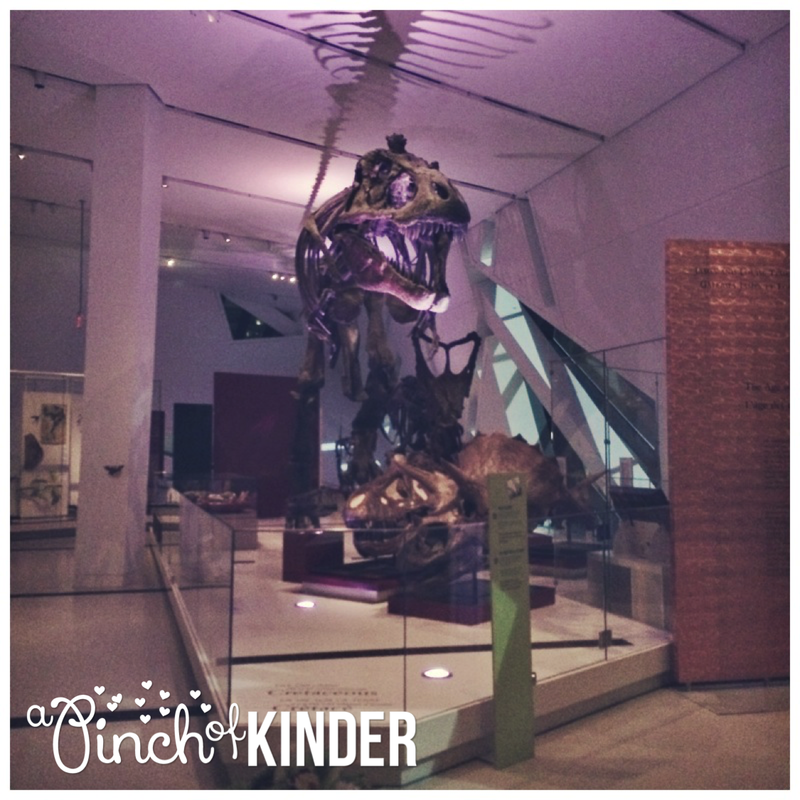 Did you notice my new blog design? 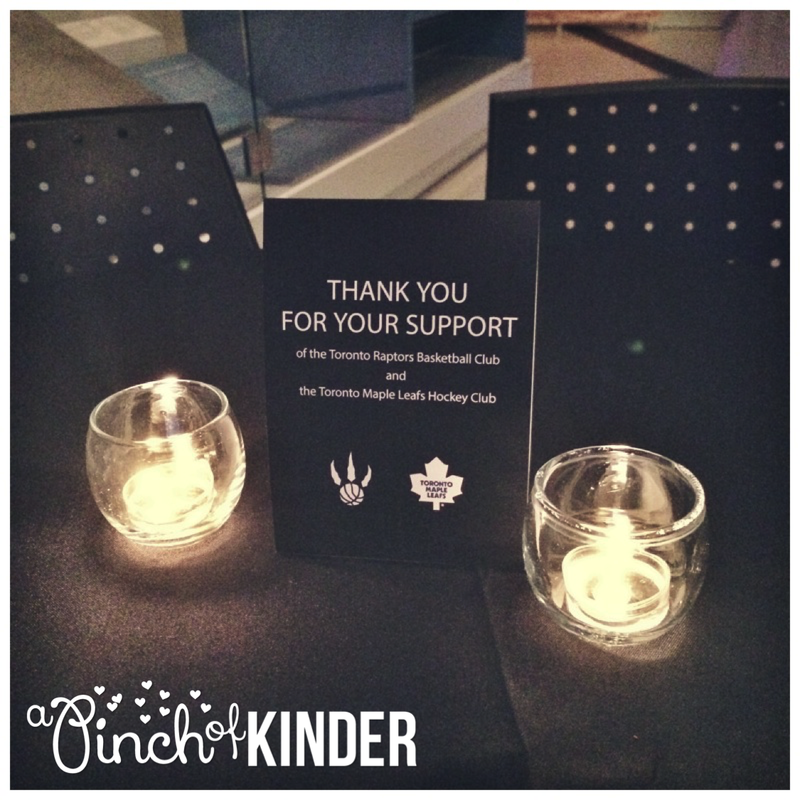 This one was designed by the awesome Tenille from Designs by Tenille. If you are in the market for a new design I highly recommend her! She was so easy to work with! 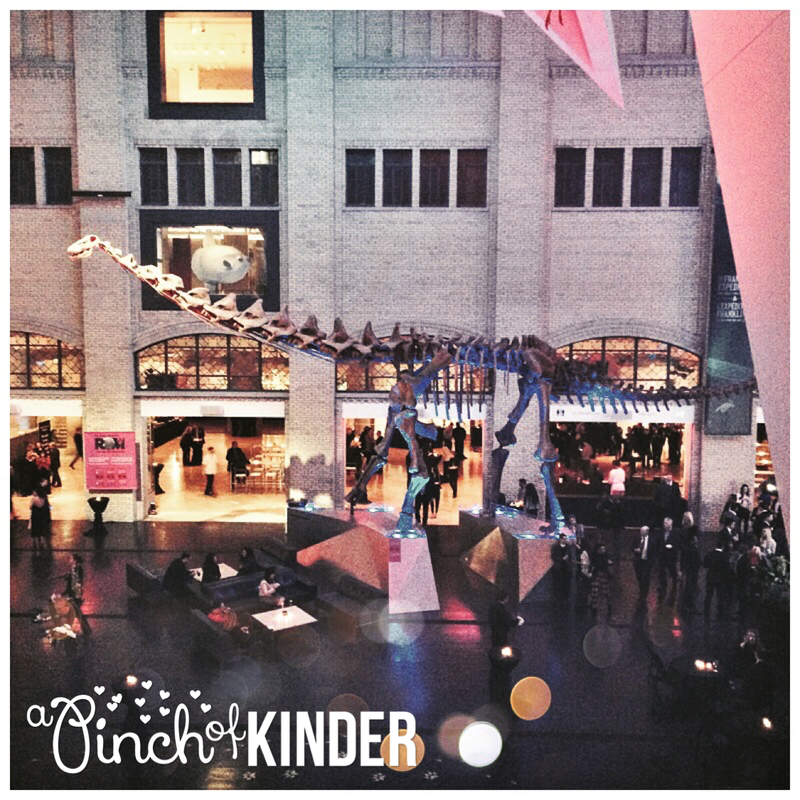 Now I just hope I get to stay in Kinder again next year!! 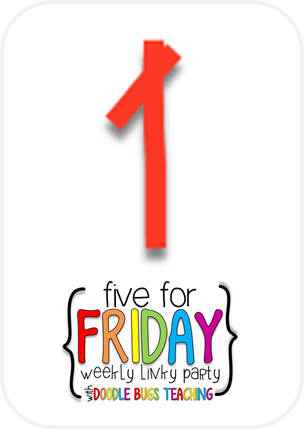 Did you shop the sale on Wednesday and Thursday? 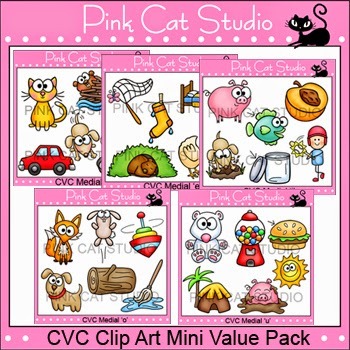 but of course I caved and bought some clipart! Here is what I got! 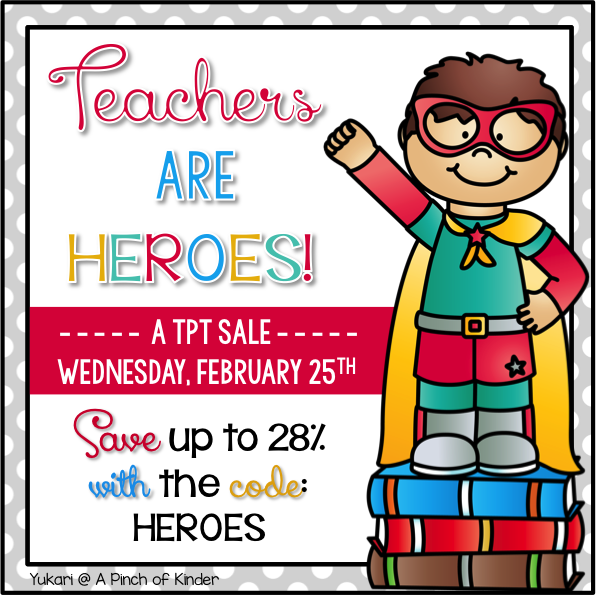 Click on the images to see them in TpT! 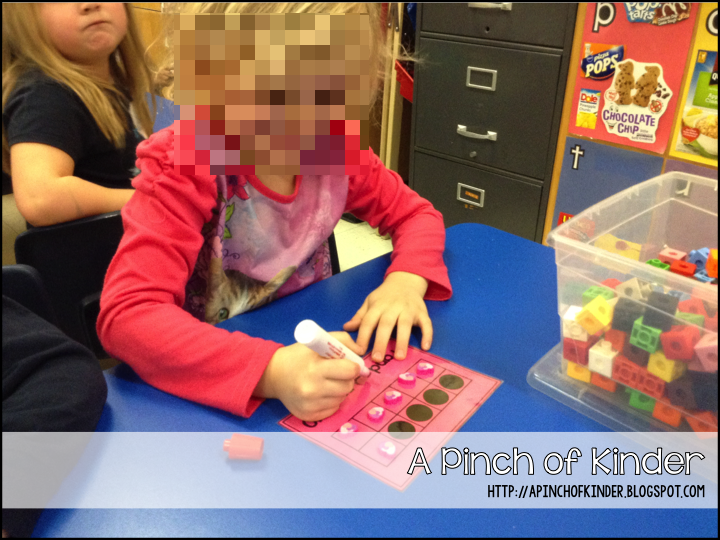 It was Kindness Week at our school to coincide with Pink Shirt Day. 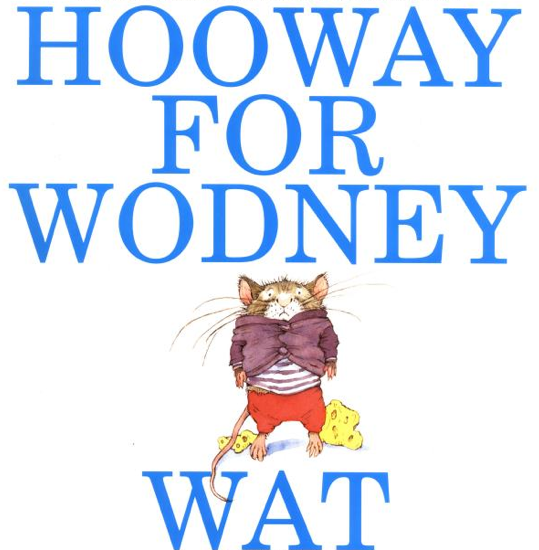 The anti-bullying theme worked perfectly with our close read on "Howay for Wodney Wat". 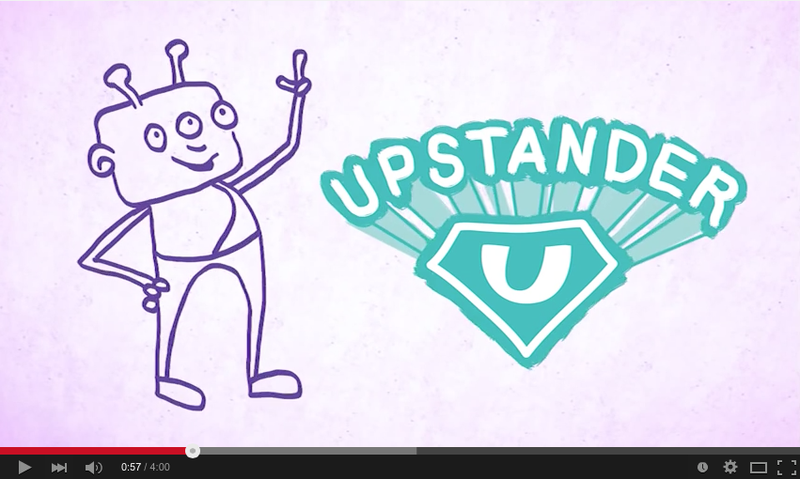 We watched this video by The NED Show on YouTube to learn how to be an upstander. 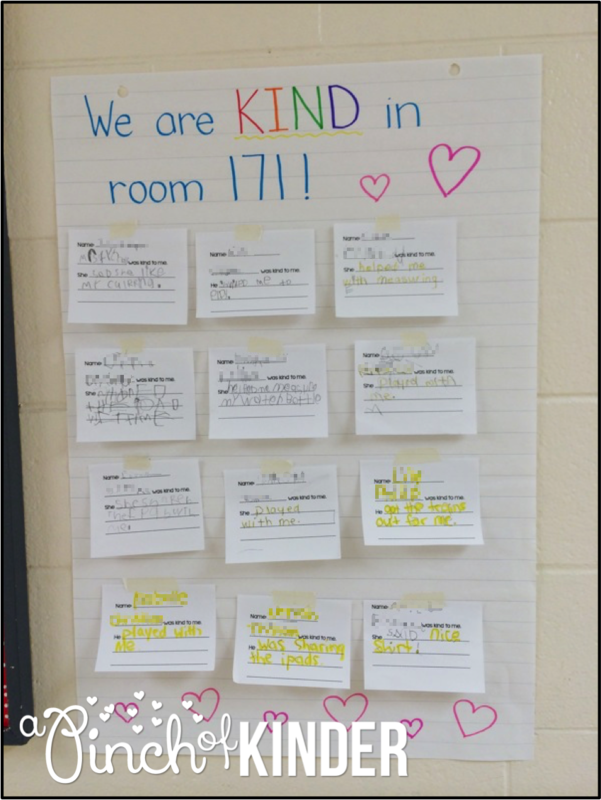 And students wrote about how other classmates were kind to them during the day. _____________ was kind to me. The kids LOVED writing about their friend's kind deeds! 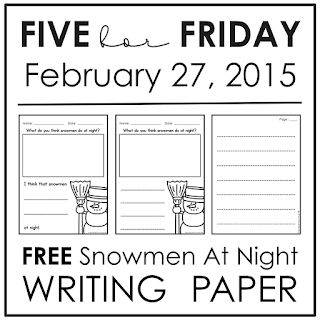 And because I always like including a freebie for "Five for Friday" here is a response sheet I made up to go with "Snowmen at Night" by Caralyn Buehner. Are you getting snow where you live? With temperatures consistently in the -20's I don't think our snow is going to melt for a while!! 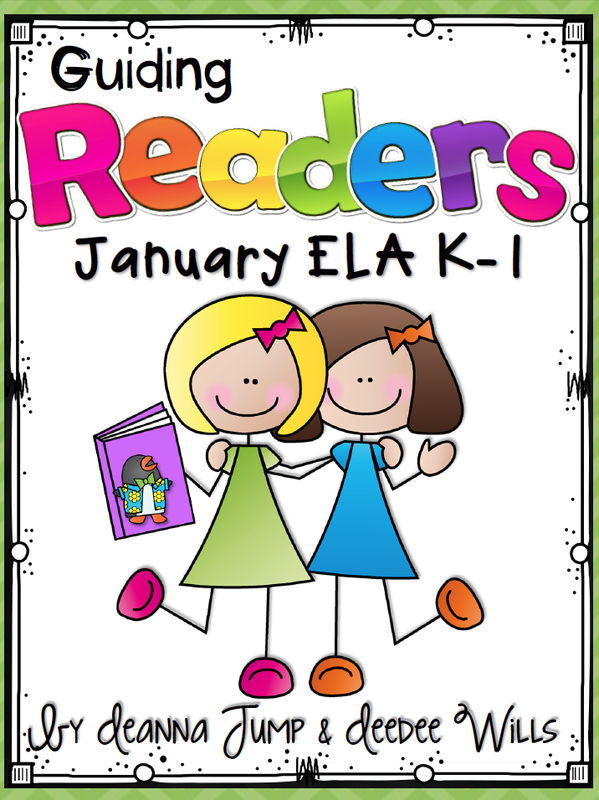 This is a super fun book for these cold winter days! I always love the creative answers we get to this question after reading this book! 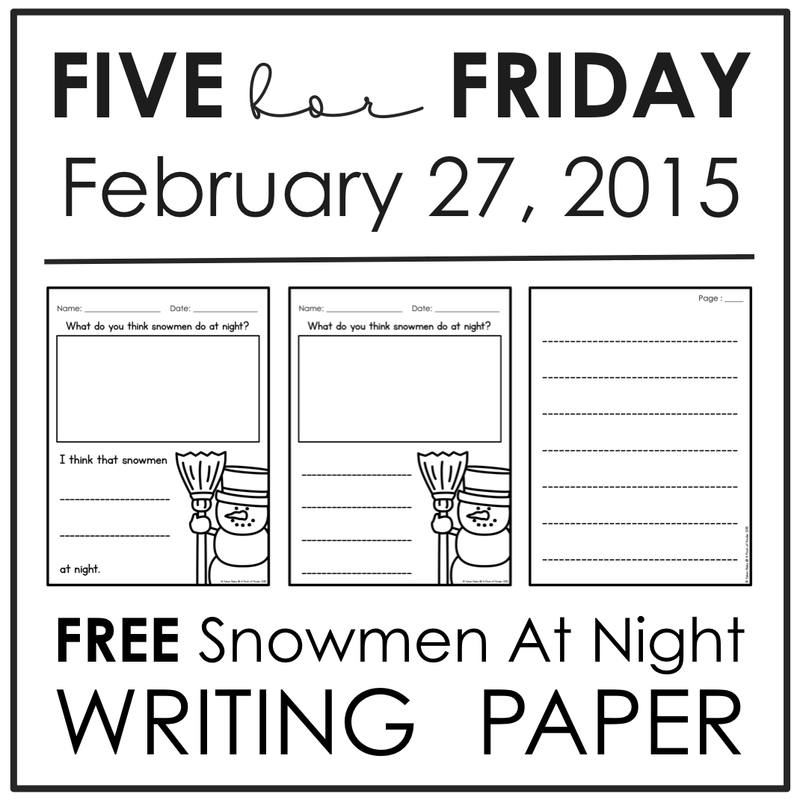 I used this in conjunction with the "Snowmen at Night" close read from Guiding Readers January by Deanna Jump and Deedee Wills. I LOVE their close read plans and bought February (Howay for Wodney Wat is in February!) and March as well! 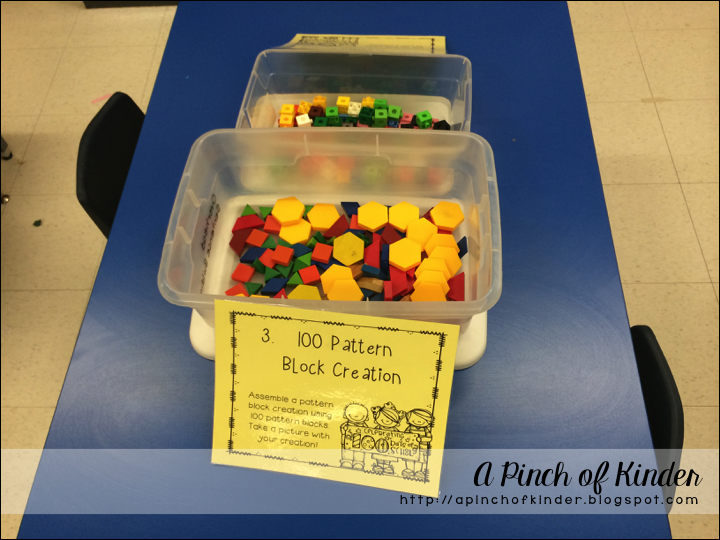 My kids have been rocking math lately! I am so impressed by their ability to use the language that I teach them. 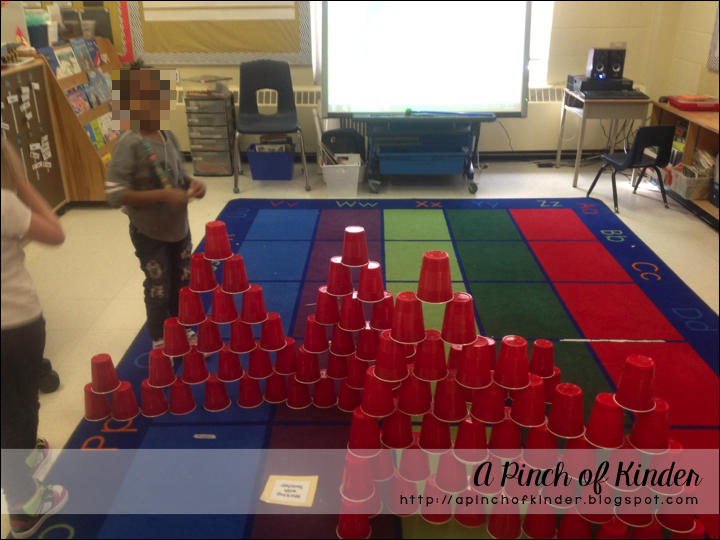 We had a VP walk through our class a few weeks ago and she sat down with one of my students and asked her what she was doing. She replied "Oh I'm decomposing numbers. 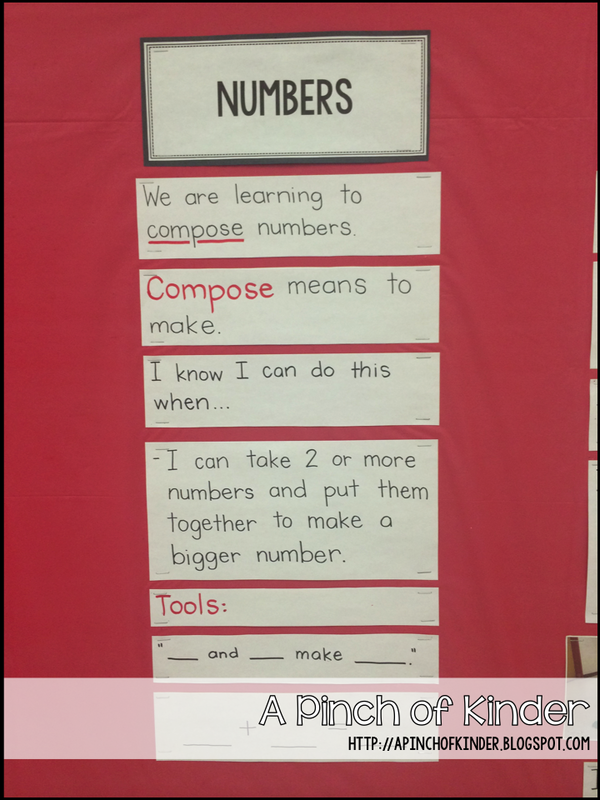 Decomposing is when you take a big number and break it apart into smaller numbers." Boom. She was surprised ("Did she just say the word decomposing!?") and we were so so proud. 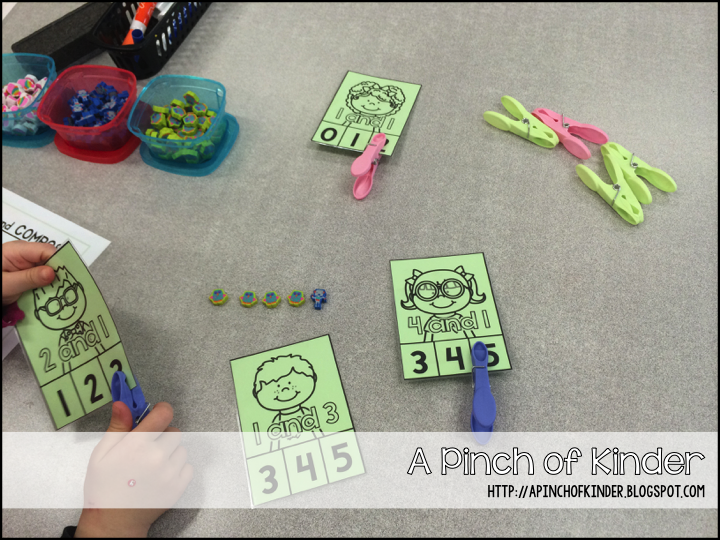 Since most kids seem to have decomposing down pat, we started on composing numbers. 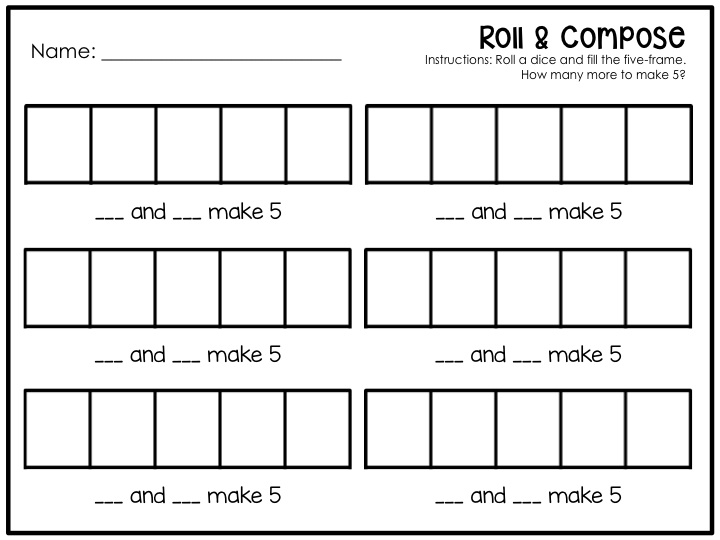 On the first day we started by reviewing what decomposing meant (breaking numbers apart to make smaller numbers) and then I told them we were going to learn how to compose numbers next and asked if anyone wanted to guess what composing meant. 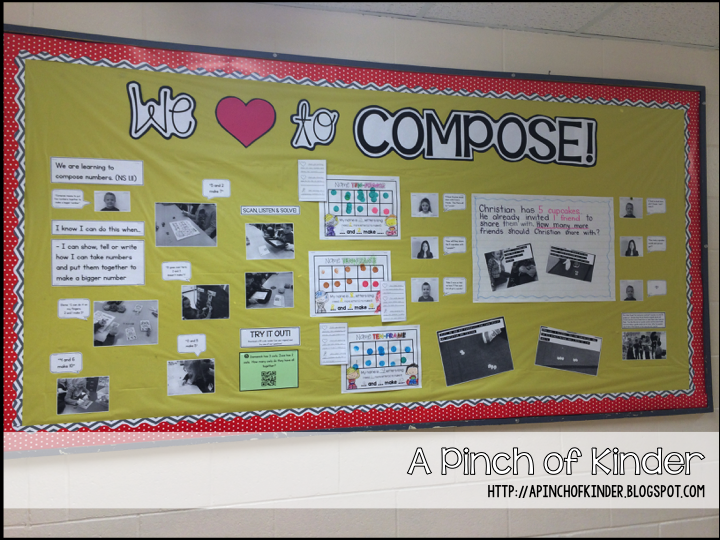 One of my little JK boys raised his hand and said "I think composing means we are going to be putting numbers together" YES!! So here is the learning goal and success criteria we came up with for our unit. 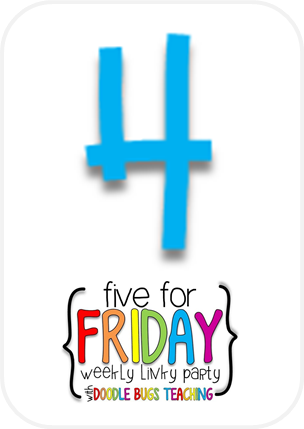 For our lesson, we started by using a five-frame like we did when we decomposed numbers. 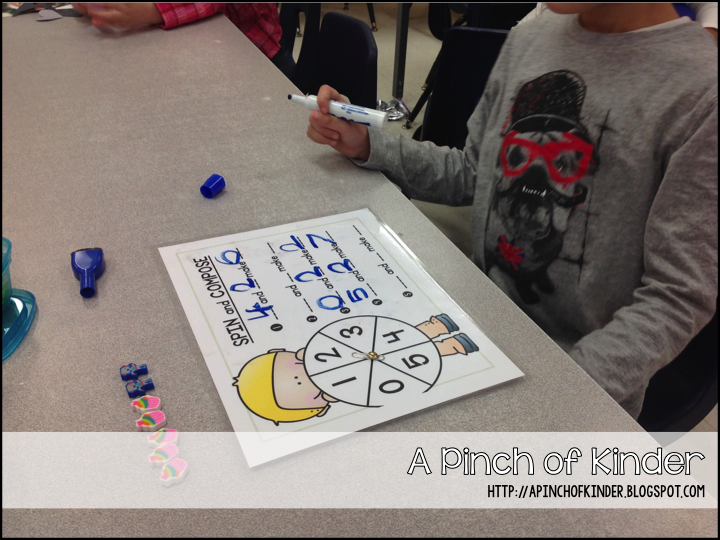 We rolled a die with the numbers 0-5 on them, put that many counters on the five-frame and put a different type of counter to fill the rest. Then we practiced completing the sentences. The next day we practiced completing a sentence that was already partly filled in. 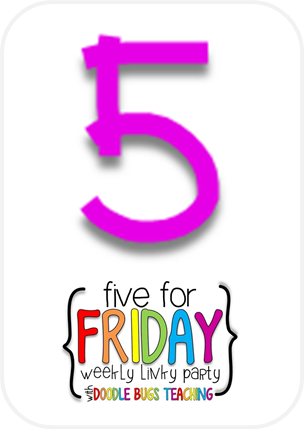 I put these pre-filled 5 frame cards on the SMARTBoard and we practiced determining how many more to make five. 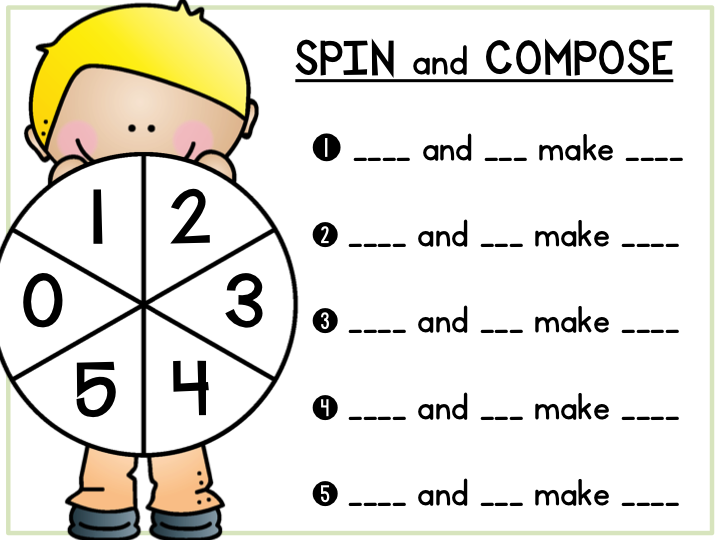 At centre time it was both a choice on the SMARTBoard and at a table. 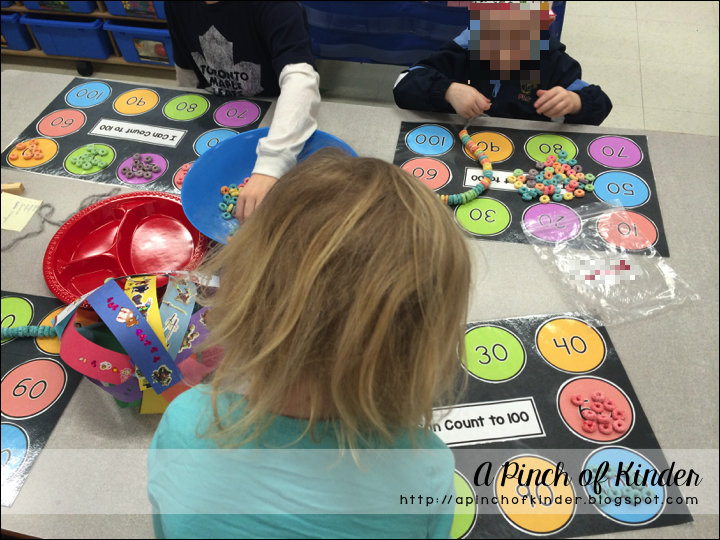 At the table, student used counters (valentine themed erasers) and expo markers to fill and write the number on the line. Here it is again on another day. 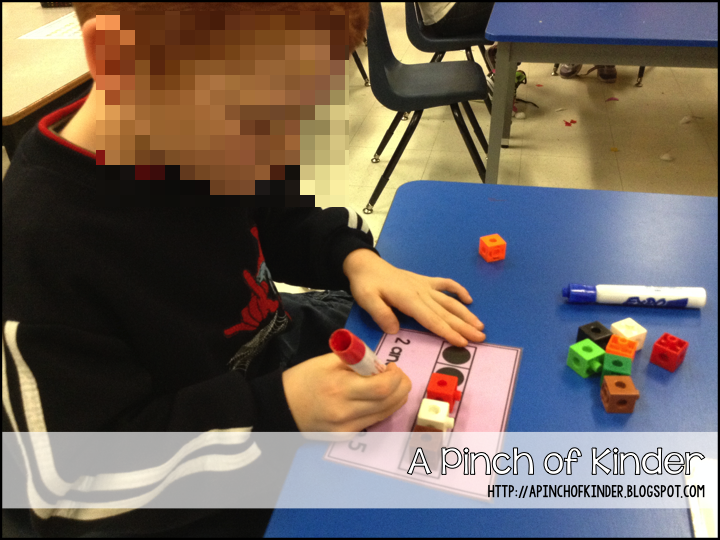 This little guy used snap cubes to fill the rest of the five frame. We also used play dough on a different day! 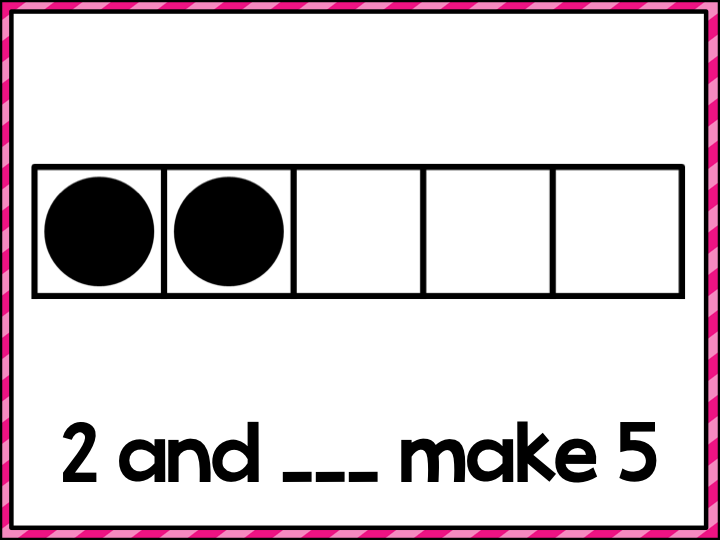 On the third day we moved to composing to 10.
and the students got to practice this during centre time as well. 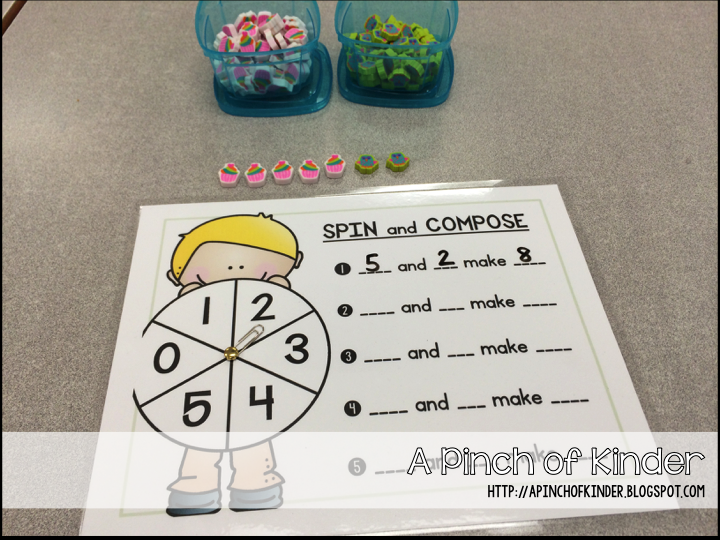 On the fourth day I introduced this spin & compose activity. 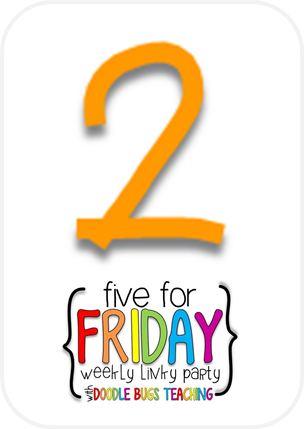 We did this on the SMARTBoard whole group first and then I put the laminated sheets below out as a centre for practice. I made a spinner out of a brad and a paper clip. And finally we did a word problem to apply our learning. 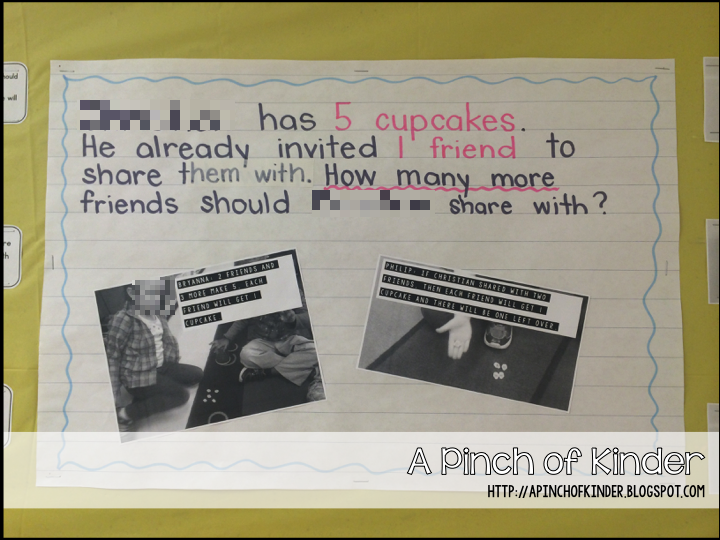 For this activity we first read the problem together, then the students were paired up and given 5 cupcake counters each. 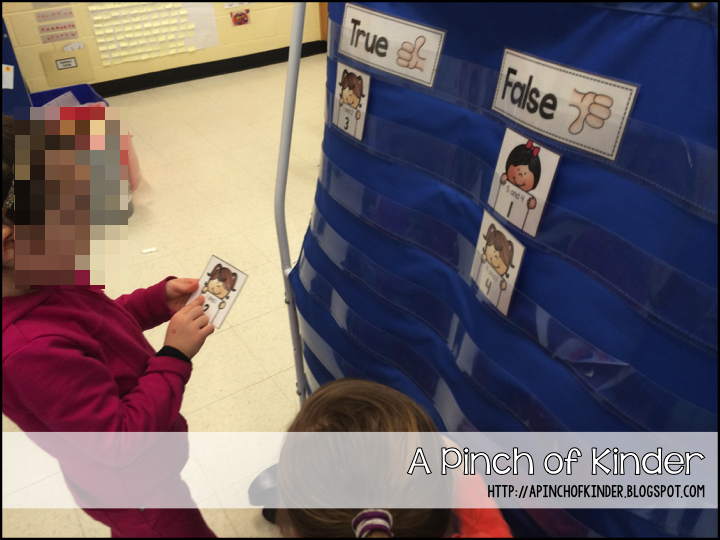 They worked in pairs to solve the problem and the educators documented their thinking by taking videos of their conversations and explanations. Then we came back together as a group and shared our solutions. And here is my updated math board in the hall! And here is what I used as part of my summative assessment and for my math bulletin board! 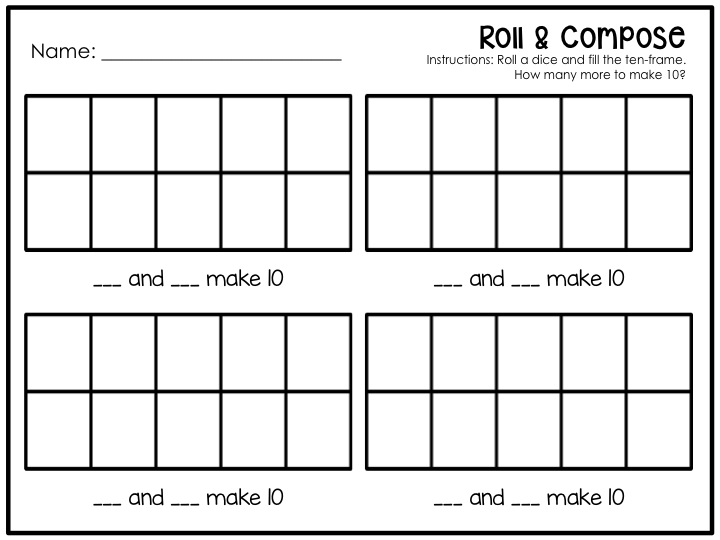 You can download this sheet for free by clicking on the picture above. 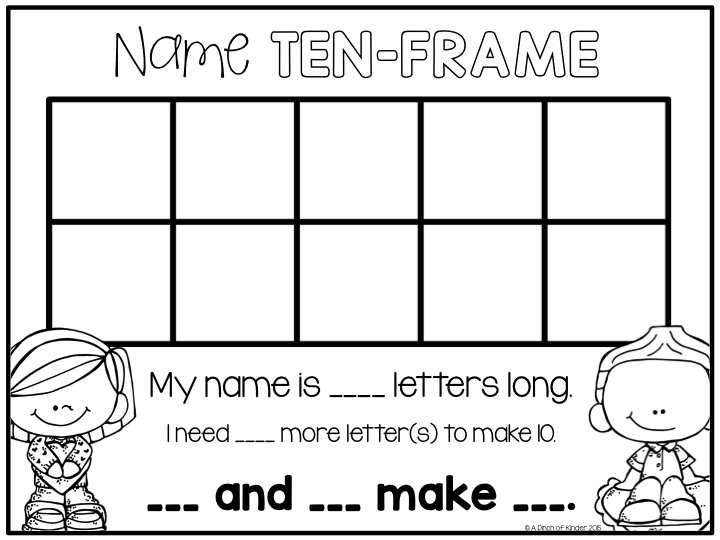 I got the idea for this name frame activity from Oceans of First Grade Fun! 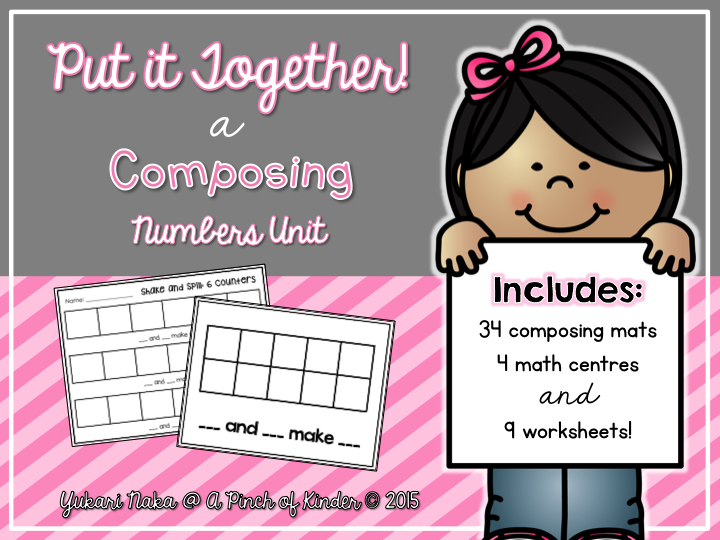 And that's it for composing numbers for now! 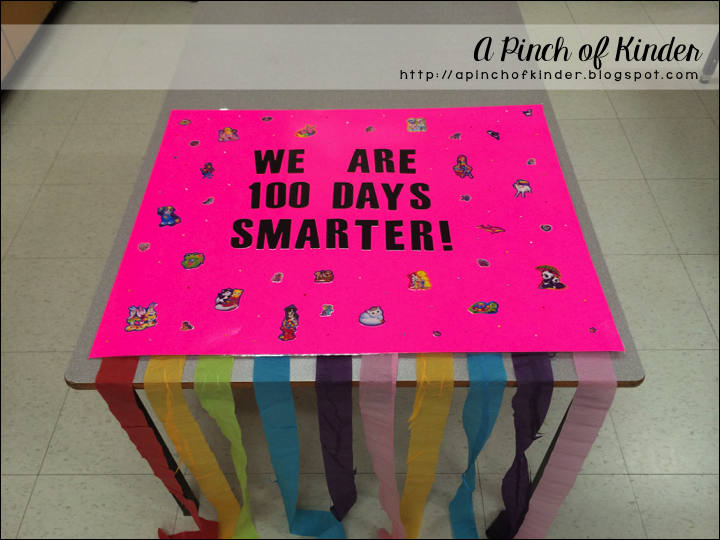 We are 100 Days Smarter in FDK! 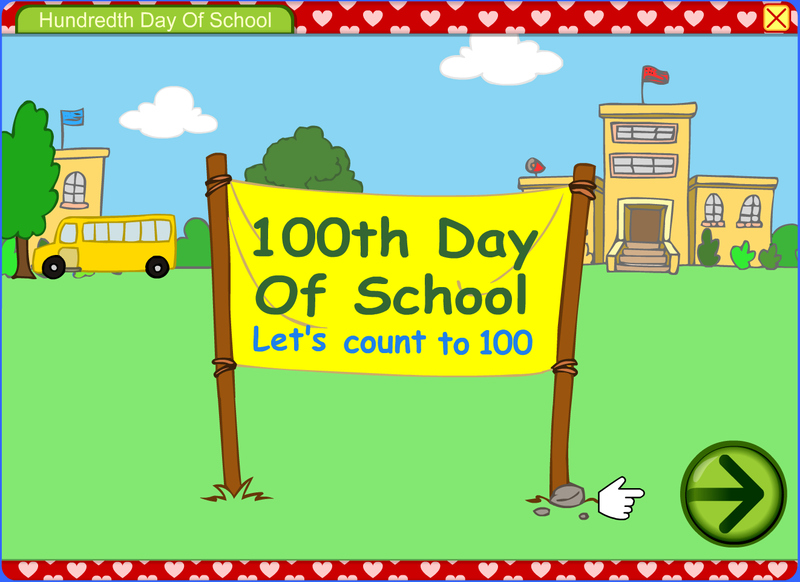 On Tuesday we celebrated our 100th day of school! First of all I couldn't have done it without my wonderful placement student. She is just the best you guys. because going all out comes with a lot of prep!! First, here is the sign I made up for my door with 100 stickers and streamers! 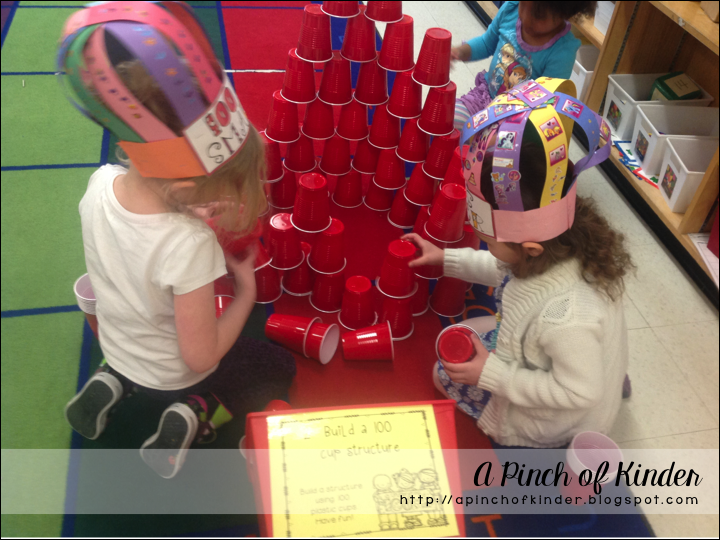 Students came to the tables after they entered the classroom and worked on their 100 day hats! I pre-portioned the stickers and asked them to put 10 on each strip. Then I stapled the top. Since we have an EA and an ECE in the room we were able to get most hats done during entry centres! 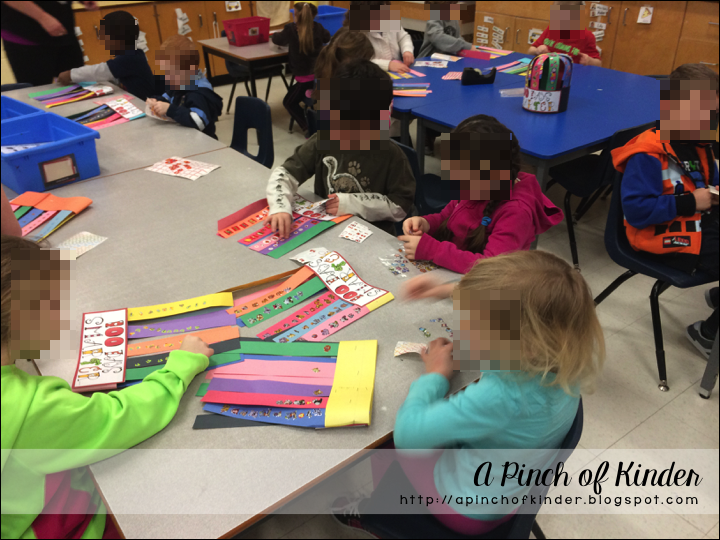 Then we had our morning carpet time where most of my class learned the 100 day poem. 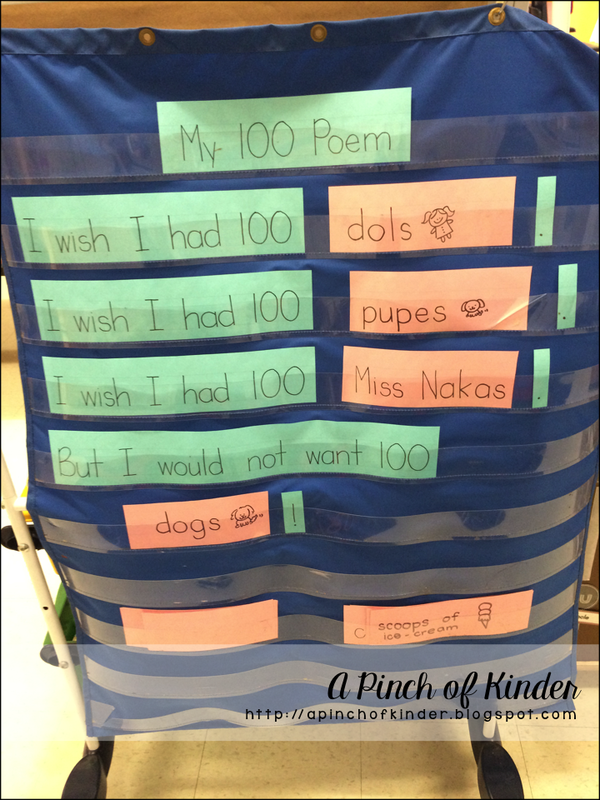 We added their suggestions and re-read the poem a couple of times. 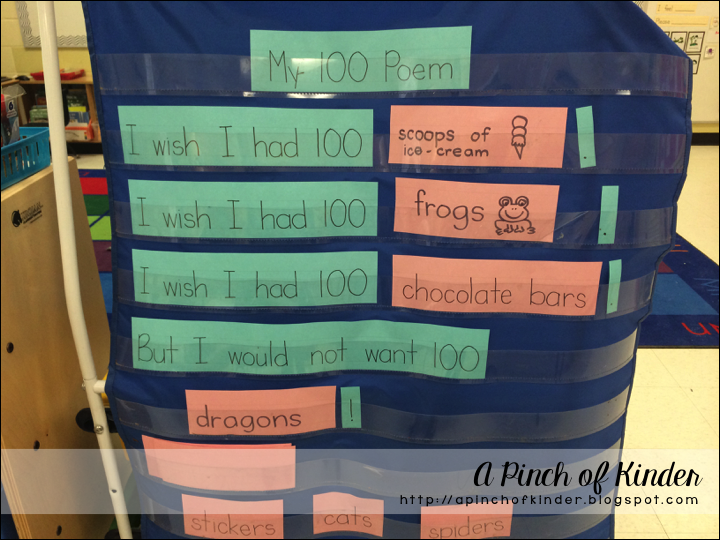 We continued this poem each day this week, changed out the words and practiced reading it. One little guy said he wishes he had 100 Miss Nakas. 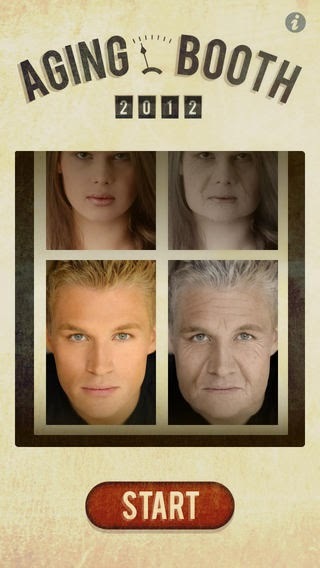 I had taken a picture of each student and made them old using the app Aging Booth! 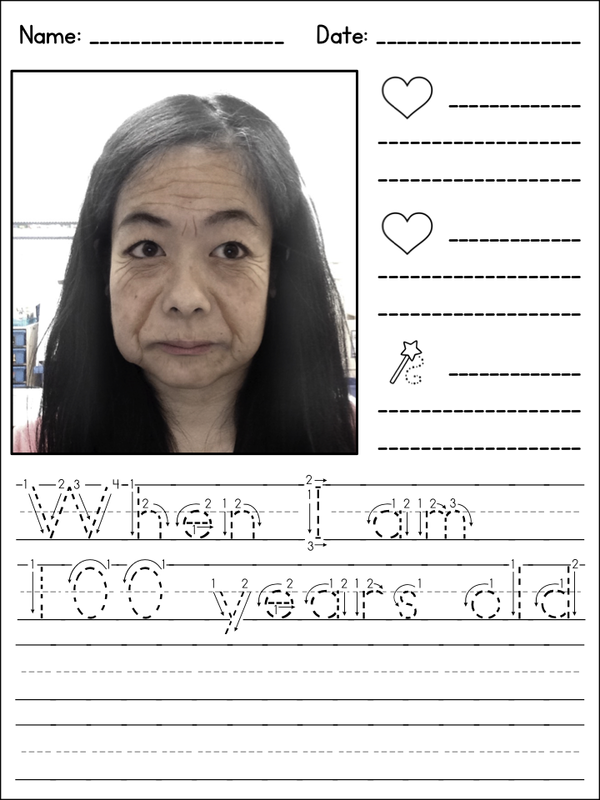 Then I had them finish the sentence "When I am 100 years old ______________." It is free in the App Store! I got this idea from The Primary Graffiti! I can't show you a sample of theirs (I wish I could! They were sooo cute and hilarious!!) so here is what the writing paper looked like with my aged photo! 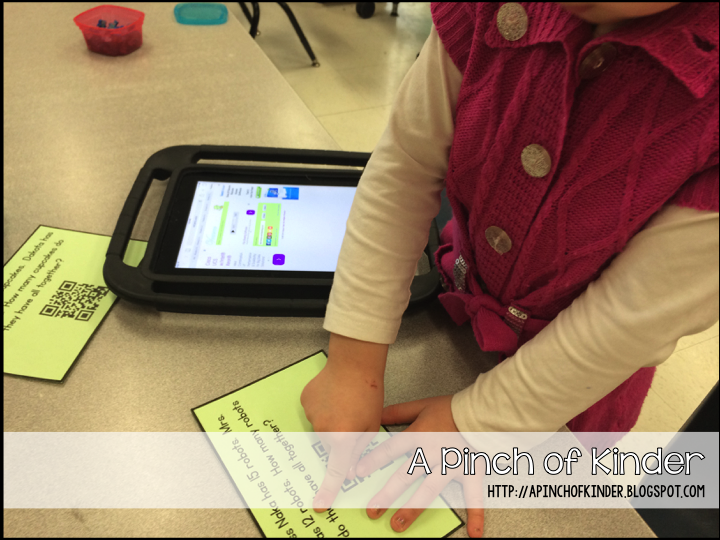 Even if you don't do the writing you could use the app, make a quick powerpoint and show a slide show of the pictures on the 100th day and the kids will have a hoot! 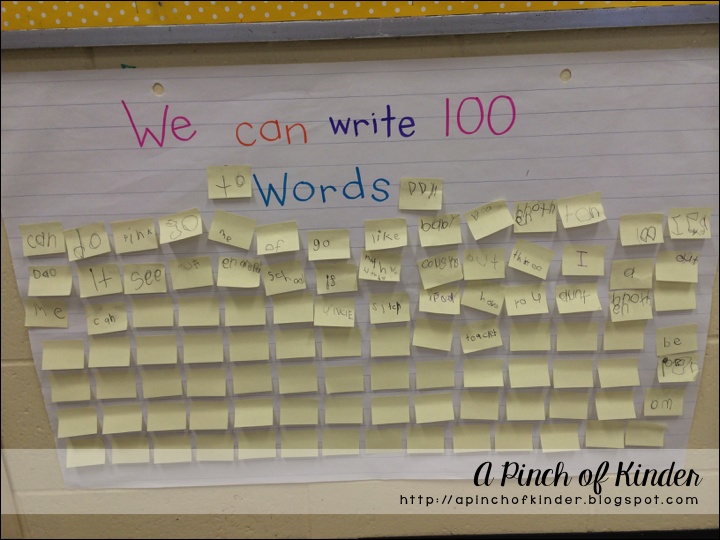 We Can Write 100 Words! I put out 10 different colours of do-a-dot markers and had them stamp 10 of each colour to keep track. After lunch we have our math block. We read this question together and then I showed them how long 10 steps would be like at the carpet. 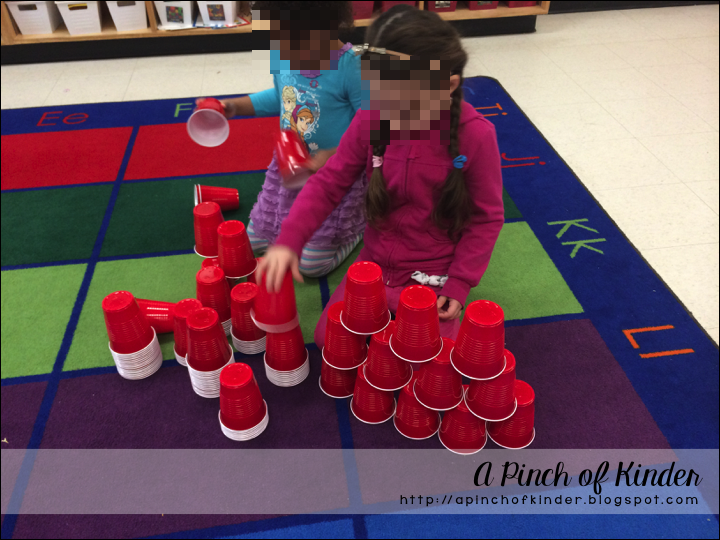 We reviewed our measurement rules (no gaps, straight line). 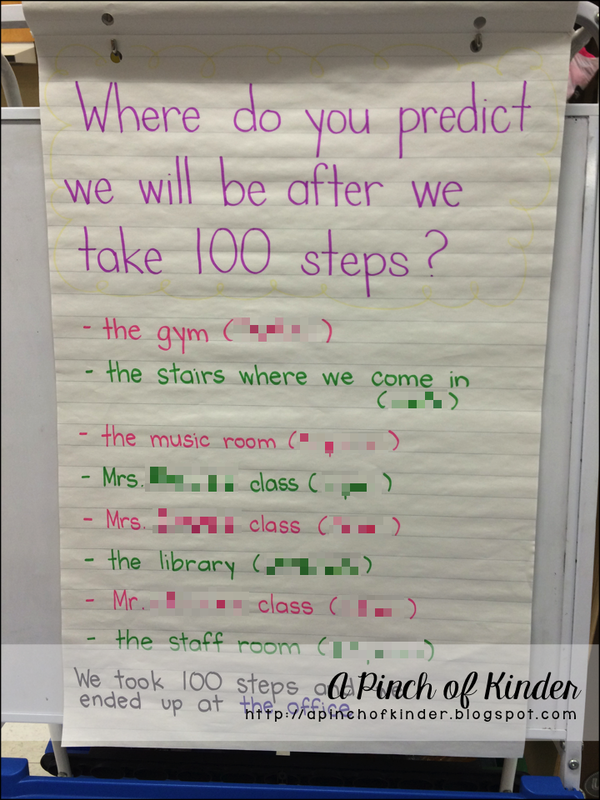 Then students shared their predictions. Then we tested it out! 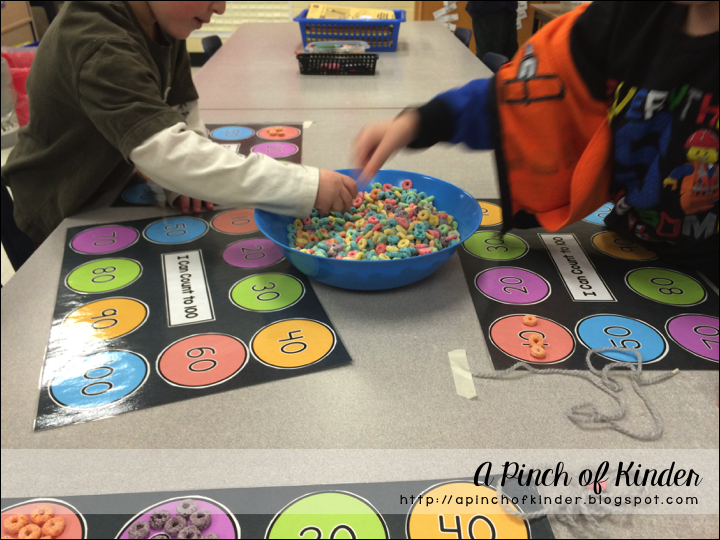 It was a great way to show off our 100 day gear (hat and fruit loop necklaces) in the hall while also incorporating measurement! 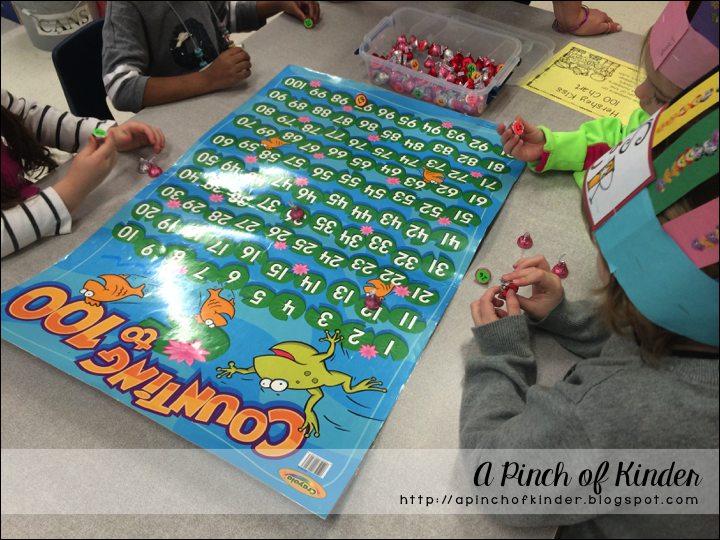 Here the students looked at the bottom of the kisses and matched the number with the matching lily pad on the 100s chart. 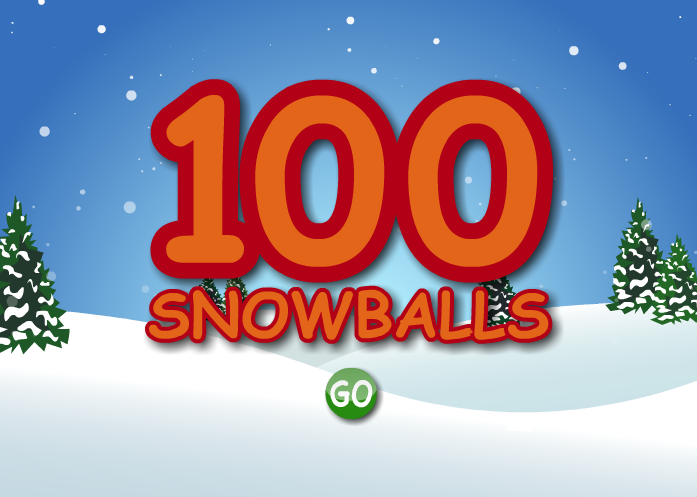 100 Snowballs on abcya.com on the SMARTBoard. 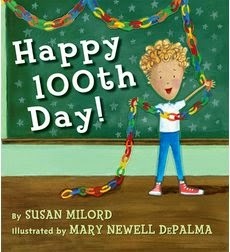 At the end of the day we started our Close Reading on "Happy 100th Day!" by Susan Milord. 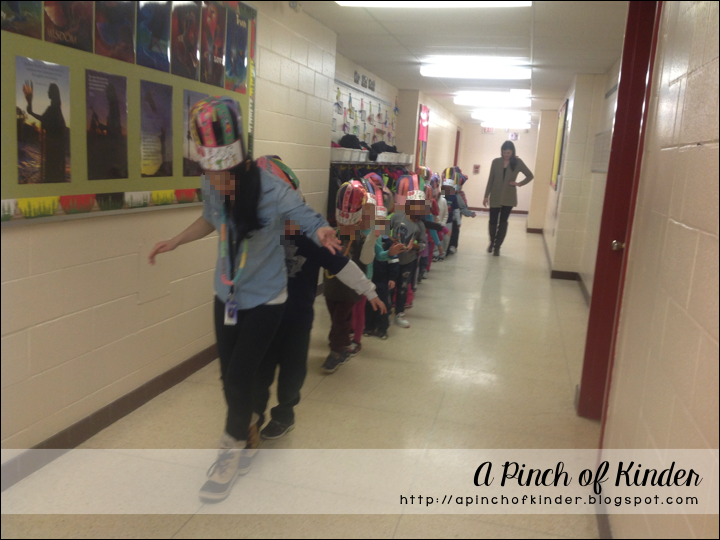 We did a picture walk, made predictions and read the story. And then it was time to go home! I'm sooo glad we did all of this as my kids were so engaged ALL DAY! 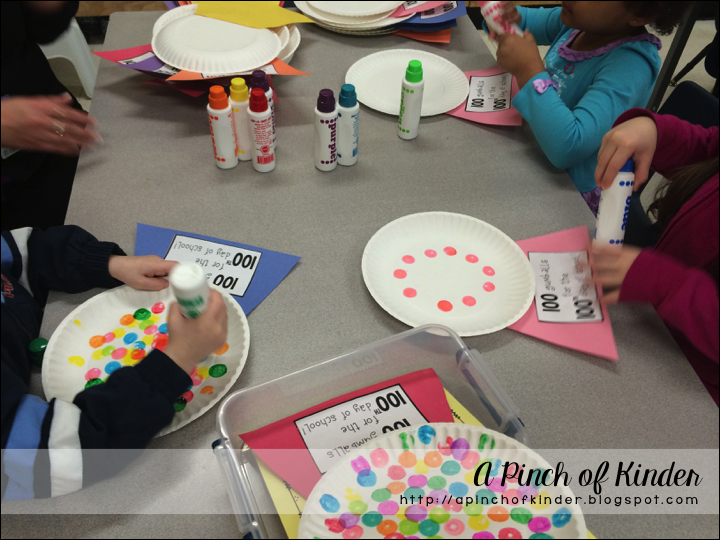 Most of the activities I did came from Cara's "100 Day Freebie" post on The First Grade Parade. 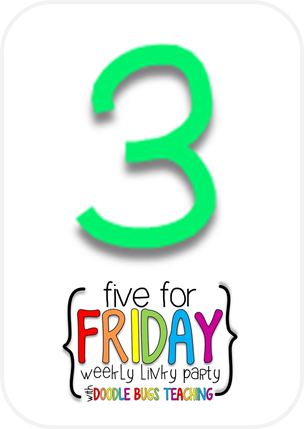 And you can click here to download my printables (including ones I made and didn't use.. hopefully someone can use them next year!). 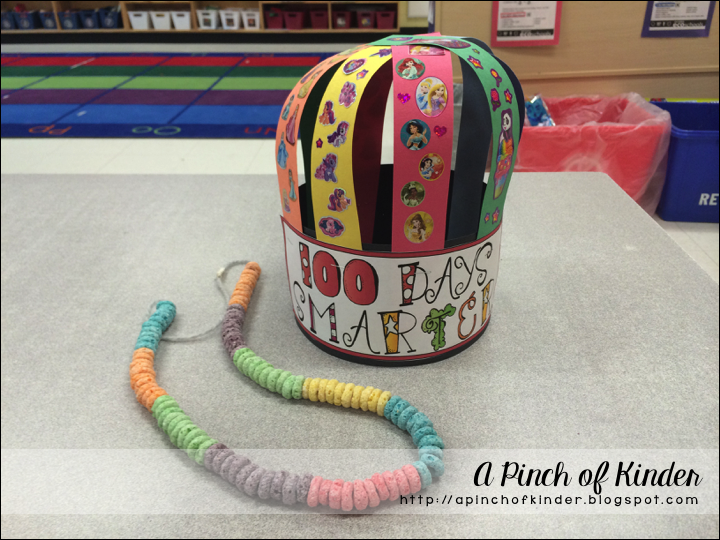 Did you celebrate 100 day? 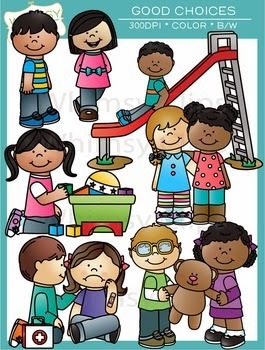 I would love to hear about some fun and meaningful activities you do with your kinders! Student Gift: Valentine You Knock My Socks Off!